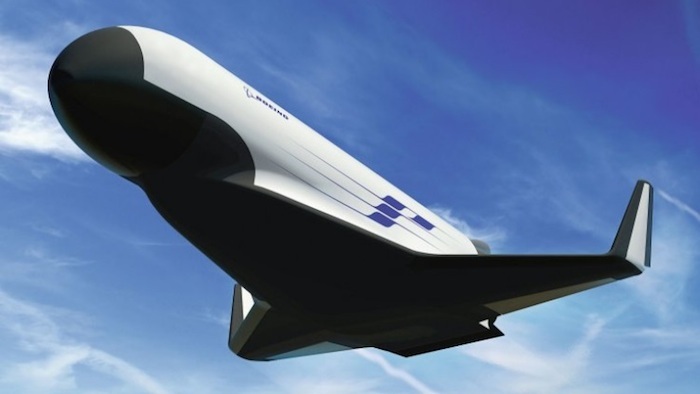 The Pentagon's Defense Advanced Research Projects Agency (DARPA) has awarded Boeing a contract modification worth USD6.6 million to continue work on the XS-1 Experimental Spaceplane, according to a 28 July announcement to Congress. The programme is developing a reusable, unmanned booster with costs, operation, and reliability similar to modern aircraft that will launch small-payload satellites of 3,000 to 5,000 lb into low-Earth orbit. XS-1 would employ a reusable first stage to fly to hypersonic speeds at a suborbital altitude. Then, one or more expendable upper stages would separate and deploy a satellite into Low Earth Orbit. The reusable first stage would then return to earth and be prepared for the next flight. Under Phase 1B, Boeing is responsible for developing a demonstration concept and core technologies for XS-1, DARPA said in a statement. The award of Phase 1B brings the total value of the Boeing team's work to date from USD10 million to USD16.6 million, according to the statement. Boeing is providing USD6 million of the costs, while DARPA is funding the remainder. Work on this phase is expected to be completed by August 2016. DARPA wants XS-1 to fly as often as daily in a 10-day period at a cost of less than USD5 million per flight. It wants a vehicle that can reach speeds in excess of Mach 10, according to the agency. Boeing and partner Blue Origin was one of three company teams chosen by DARPA in 2014 to begin designing the XS-1. The other teams were Northrop Grumman with Virgin Galactic, and Masten Space Systems with XCOR. DARPA plans to hold a Phase II competition next year for the follow-on production order to build the vehicle and conduct demonstration flights, according to the statement.